Rev. 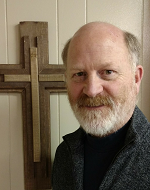 Barry M. Foster, Ph.D., started as our Interim Pastor in January of 2019. Pastor Barry has twenty years of pastoral experience and was ordained by The International Church of the Foursquare Gospel. 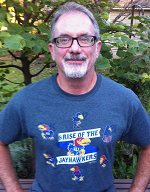 Pastor Barry and his wife, Mary, are both graduates of the University of Kansas and loyal Jayhawks. They have been married for forty-one years, and have four adult children (two married) and seven grandchildren–all of whom, they are grateful to say, love and serve the Lord and his church. Dr. Barry is also an adjunct professor for The King’s University (Southlake, Texas), teaching undergraduate and graduate online courses in biblical studies, theology, and Christian ministry He has also taught in church-based ministry schools, led short-term missions trips, and has given seminars and workshops for pastors, ministry leaders, and adults engaged in cross-cultural evangelism and discipleship in both national and international contexts. His doctorate (Trinity Evangelical Divinity School, 1997) is in Theological Studies, with a concentration on exegesis and theology of the New Testament. My Passion: I long to see the fullness of the kingdom of God realized on the earth, and Jesus rightly honored by the world for who he is and what he has done–to see evil vanquished, suffering ended, the hurting made whole, and righteousness established throughout the earth. To that end, I deeply desire to see the church come to better understand the Bible, to think rightly and deeply about its teachings, to apply its truth more faithfully to our lives, individually and corporately, to grow both in grace and in the knowledge of Christ, to experience and choose to believe the love God has for us, and thus to live as healthy, Spirit-empowered followers of Jesus Christ. Favorite Scripture: My favorite Scripture is the one I need right now. But I often find special pleasure in remembering Romans 5:1 (“Therefore having been justified by faith, we have peace with God through our Lord Jesus Christ.”) or 2 Corinthians 4:2 (“but we have renounced the things hidden because of shame, not walking in craftiness or adulterating the word of God, but by the manifestation of truth commending ourselves to every man’s conscience in the sight of God.”). Of course, there’s also 3 John 4 which has become very precious to me as I’ve grown older (“I have no greater joy than this, to hear of my children walking in the truth.”). Oh, and . . .
What do you like to do in your spare time? I love being with my family, playing board games, chess, watching sports (cheering for the Royals, Jayhawks, and Broncos) or movies, reading, playing music with friends. I enjoy traveling, skiing, camping, and just being in the mountains. And now that my athletic exploits are mostly an elusive memory of questionable accuracy, I’ve been known to engage in fantasy football. Greg and Jennifer are both native Kansans, met at York College in York, NE, and were married at First Christian in 1983. They have three sons, one granddaughter, and one grandson. Greg was in full-time worship ministry for 17 years in Phoenix, AZ and Sugar Land, TX before getting his RN degree and moving back to Kansas in 2016. He currently works at Family Medicine Associates and in his free time enjoys disc golfing, yard work, and backyard grilling. 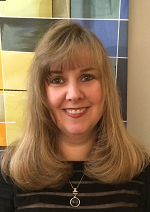 Janice Wagner is an IT Specialist at the University of Kansas. She works on a team of three to provide IT support for the KU Libraries and several other departments on campus. Janice was married to her husband Doug for 40 years prior to becoming a widow. During that 40 years, she and Doug frequently served as Youth Sponsors and/or Sunday School teachers, so working with Youth is nothing new to her. 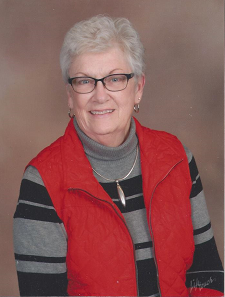 In her spare time Janice enjoys sewing, quilting, crocheting and a variety of other crafts. Janice has 3 children and 10 grandchildren. One son, Chip and his family live nearby in Olathe, but the other two children, Kent and Katie and their families live near Pittsburg, Kansas. Daughter Katie is a nurse and son Kent pastors a church in Oswego, Kansas…which ties both families up on weekends. So Janice makes frequent trips to the Pittsburg area in order to see her children and grandchildren who live there. Jennifer Boyle met her husband, Greg, at York College. They have lived in Kansas, Arizona, Indiana and Texas during their 35 years together, having three sons and two grandchildren along the way. In 2016, they moved to Lawrence so she could be near her mother who is also a member at First Christian. She has been involved with children of all ages and teaching Bible classes for as long as she can remember. 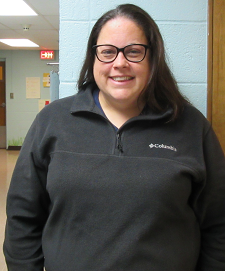 She homeschooled her sons, ran her own childcare business for over 15 years, and is currently employed by the Lawrence school system as a para-educator. Jennifer loves helping children discover God’s love for them and develop a faith of their own. 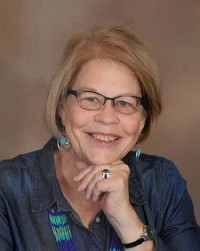 Julie Hafenstine is a graduate of Washburn University (B.S. Elementary Education/Early Childhood Emphasis). She has worked in education for over 15 years. She has been married to her husband, Mark for 25 years. They have 2 grown children, Brianna and Ryan who she enjoyed staying home with throughout their childhood. In her spare time, she enjoys spending time with her family and their dog Maggie. 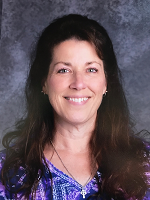 Julie is blessed to serve as Director of The Giving Tree Preschool and finds it rewarding to share God’s love with children along with preparing them for kindergarten. 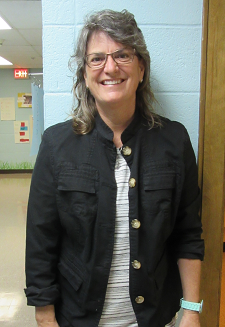 Donna Carlson has been working in education for the past 15 years, 12 of which have been at The Giving Tree Preschool. She graduated with a BS degree in Communication from Baker University and worked for non-profits prior to being a stay-at-home mom while her kids were little. Donna and her husband, Steve, have 2 kids; a son and a daughter. Donna’s greatest joy is watching her preschoolers grow academically, socially and spiritually in the loving and playful setting of The Giving Tree Preschool, the happiest place on the planet. Mikayla Swart started her career working with children while attending Eastern New Mexico University. She taught at preschools in New Mexico and Kansas before taking a 9 year break to raise her three children, all GT Alumni. She is joining us for her fourth year at The Giving Tree. When not at the happiest place on the planet, Ms. Mikayla enjoys spending time with her husband Greg, and their beautiful children. Pat was born & raised in Kansas City, Missouri, and moved to Lawrence in 1967. She has 3 daughters, 5 granddaughters & 1 grandson. Pat is a widow and lives alone with her 3-legged dog, Charlie whom she adopted Dec 15th 2018. Pat works part-time as custodian for FCC. She enjoys taking care of her plants and she plants a few tomato plants every year, as she loves fresh tomatoes. She freezes some and shares some with her friend Rosie, who also attends FCC. Sarah Johnson has been attending FCC with her daughter Sydney since June 2016. She designed and developed the current FCC website, and maintains it regularly. She also cleans The Giving Tree Preschool, which her daughter currently attends. On Sundays you can find Sarah teaching the preschool children upstairs in FCC’s Children’s Ministry. She is a full-time stay-at-home mom with some marketing gigs on the side. Her husband Brian is a Realtor with McGrew Real Estate. Their family of three enjoys traveling, playing at the park, and enjoying the great outdoors.